Orthodontics resident and MSOB candidate Dr. Mojarrad was chosen over 21 other students from schools around the United States in a two-stage competition. Orthodontics resident and MSOB candidate Dr. Samaneh Mojarrad (GD’18). 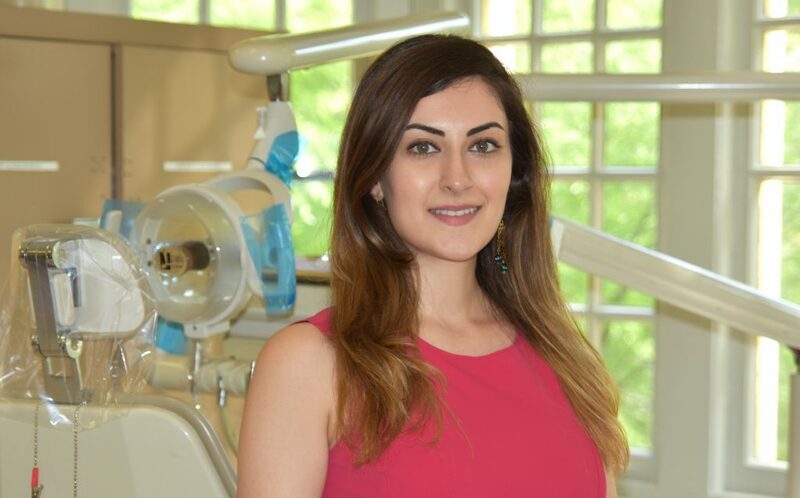 Philadelphia – The Journal of Clinical Orthodontics (JCO) recently announced the selection of Dr. Samaneh Mojarrad (GD’18), a Penn Dental Medicine orthodontics resident and Master of Science in Oral Biology (MSOB) candidate, as the winner of the 2018 Eugene L. Gottlieb JCO Student of the Year Award, presented by American Orthodontics. Dr. Mojarrad was chosen over 21 other students from schools around the United States in a two-stage competition judged by members of the JCO editorial board. Dr. Mojarrad was born in Iran and moved to the United States with her family when she was 2. She moved back to her home country for high school, finished dental school at the National University of Iran, and returned to the United States to become an orthodontist. After completing her second round of dental education at the Boston University Goldman School of Dental Medicine, she entered Penn Dental Medicine’s orthodontics and MSOB programs. She intends to go into private practice, while remaining involved in academia through teaching. The award competition was held in two stages. Every U.S. dental school could nominate one current student, with each nominee submitting two letters of recommendation and a personal essay. Nominees were then given the materials from an unpublished case and asked to write a complete treatment plan, including all possible alternatives, and from that, 12 finalists were selected. Each of the finalists then submitted a complete report for a case he or she had worked on, and a panel of JCO board members voted for the winner.